Homeless, in a wheel chair and blind…can it get any worse? Once a leading defensive tackle in college and semi-pro football, Bubba (as he likes to be called) sits in his new apartment in SE Portland. 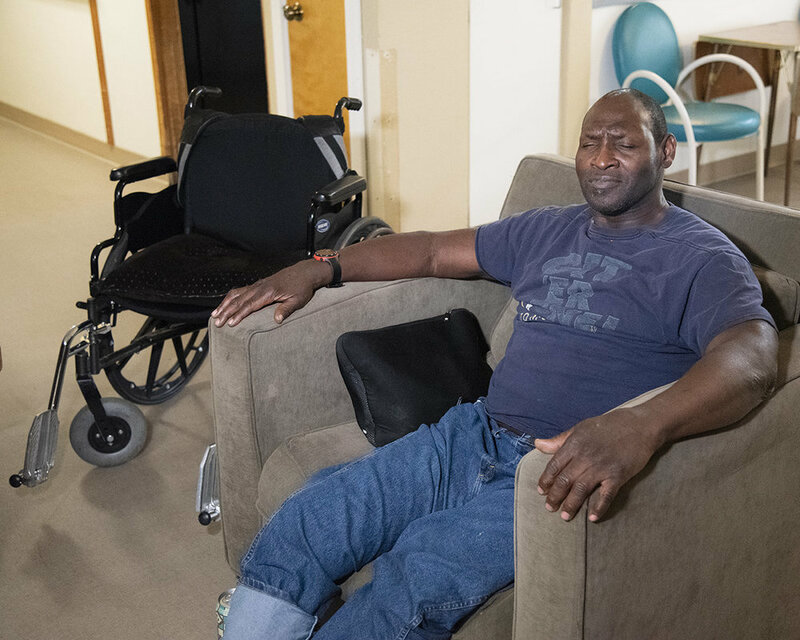 Several months ago Bubba could be seen in his wheel chair sleeping in front of the Union Gospel Mission on 3rd and Burnside in Old Town Portland. “God told me to stay in front of the mission,” Bubba exclaims. Being blind, in a wheel chair and homeless is dangerous and frightening. “People on the streets would rob me blind,” Bubba laughs. He can laugh about it now thanks to the UGM Homeless Services team. After building a relationship and trust with Bubba, our Homeless Services team helped Bubba fill out the appropriate paperwork and make the appointments to get him off the streets and into his own apartment. This is a prime example of UGM’s CARE – CONNECT – COACH success. Bubba occasionally still comes down to the Mission for a hot meal and fellowship, but now he has a home of his own to go back to.